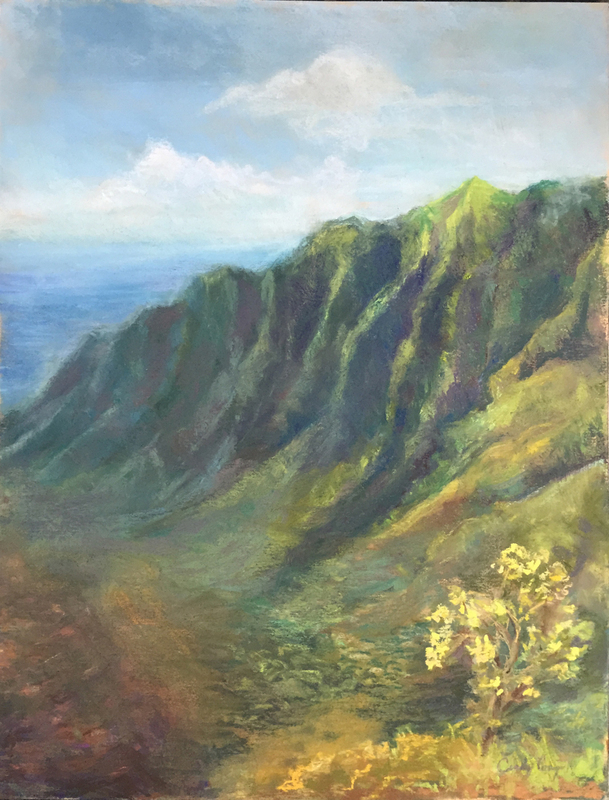 A view of the famous Kalaulau lookout in Kauai on the Na Pali coast. Featured in 2015 Power of Art Exhibit. Pastel on paper, mounted on board and under glass.I ship all pastels mounted under glass and ready for framing using spacers to preserve the pastel.